Ever popular grand venetian style home. Split floor plan with 4 beds and 3 baths. Pool has has electric heater and an extended deck. Private well for yard irrigation. Nicely decorated and well maintained. Relaxing views across the lake. Community features 2 pools, tennis courts, volley ball, basket ball and community clubhouse. Development is gated and has low hoa fees. Excellent location and close to downtown and the beaches. Owner may consider an extended closing. 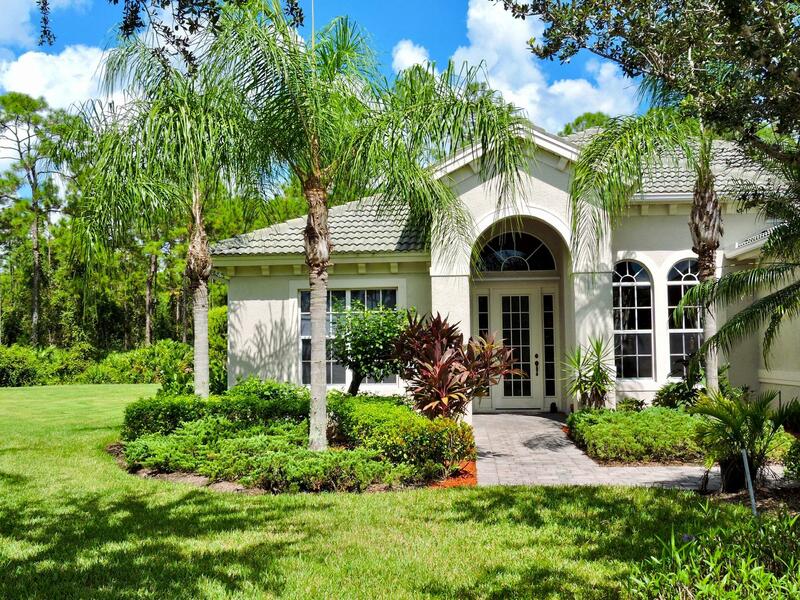 Spacious courtyard home in the gated community of briarwood. 4 bedroom plus den or possible 5th bedroom. 3 full bathrooms. Private guest suite cabana with full bathroom and bedroom. Screen enclosed pool area. Extended tile floors in living area, volume ceilings, recent ac in past year, newly painted indoor and out, irrigation well, and more. Community features guard gated security, lap pool, resort style pool, tennis, volley ball, basketball, clubhouse, playing field and playground. Excellent location under 5 miles to downtown naples,beaches,shopping,marinas, restaurants and parks. Great home. Do not miss. 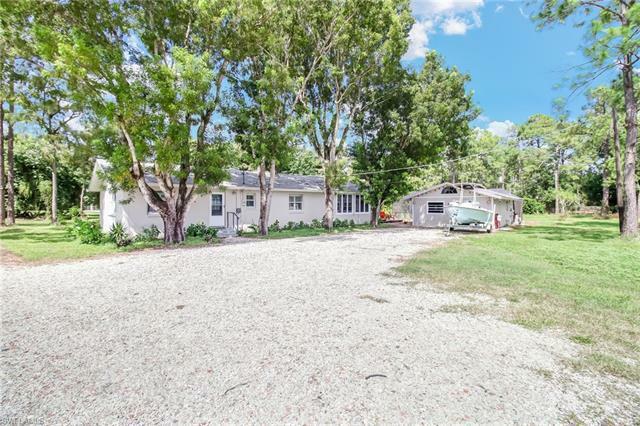 Charming ranch home with a cozy florida room, man cave and a new pool !!! This beautiful home is nestled on 4. 77 acres surrounded by florida pines, the epitome of serene country living but here is the bonus. This home is located in town with city water!!! This home is 3725 sq ft with 4 bedrooms and 2 full bathrooms plus a large den. Entire property is fenced !!! Large kitchen, plenty of cooking and cabinet space. Privacy fence around the whole property. Plenty of space for a new build or horse barn. You could also, live in this home as you build your dream home next door. The location is just a half mile from radio rd and 2 miles from airport pulling rd. This home has so much potential and asking much lower then appraised value! Must see!!! Enjoy this waterfront pool home on an oversized lot with ideal privacy in the gated community of the shores! Situated at the end of the cul-de-sac, this 4 bedroom, 3 bath plus den single family home is only minutes away from some of the best beaches, shopping, dining and nightlife that southwest florida has to offer. Entertain your guests on the extended screened-in lanai overlooking your large pool and sparkling lake with southwestern exposure. The home features 2900 sq ft under air, light warm tones and volume ceilings with an open kitchen and family room, a large loft area, palladium windows, french doors to the lanai, a newer water heater, dual ac units and a private first floor guest bedroom. The shores is an active community with a beautiful community center which includes a large resort style pool with swim lanes overlooking the lake, tennis and pickle ball courts, a fitness room, bocce court, billiards, mahjong, bridge, aerobic classes, yoga classes, water aerobics and many social activities. Dont miss the chance to make this dream home yours! This stunning 4-bedroom, 3 bath pool home is set in the gated briarwood development, one of naples most sought-after communities! The bright and spacious home has an impressive open floorplan with granite counter tops in the kitchen, stainless steel appliances, soaring ceilings, updated bathrooms and new air conditioner. Multiple sliders open to an entertainers dream featuring a large screened-in lanai area with a fabulous oversized pool and a private rear yard. Briarwood has a very generous rental policy and offers a great central location close to all the best that naples is known for: beaches, shopping, and dining. As well as a low hoa fee. This magnificent cul de sac house sits on one of the biggest lots in the community with the preserve in the back. Enjoy lots of privacy while sitting by the pool and jacuzzi. The open floor plan featuring 12 foot tray ceilings, 20' diagonal tile throughout main areas and wood floor in the bedrooms. There are arched hallways and beautiful niches throughout the house as well as arched windows. This distinctive home features an elegant master suite with walk in closets and an oversized bathroom. Kitchen features stainless steel appliances with granite countertop and tile backsplash making this home perfect for entertaining friends and family. An extended garage with hurricane proof door and paver driveway. Location is very convenient to all shopping and beaches. Must see! Beautifully appointed four bedroom two and a half bath home in the lago villaggio community of glen eagle which is just 4. 5 miles from downtown old naples restaurants, shoppes and galleries and the gulf of mexico. Lago villaggio is a pet friendly neighborhood, with a two pet allowance and no weight limits. Enjoy dinner on your lanai overlooking the solar heated pool and spa or take a quick ride or walk to the glen eagle clubhouse for cocktails and dinner with friends. Save a substantial amount of money in electric bills, as this home is partially powered by solar panals. Electric storm shutters front and back, provide security and protection. Full time monitored adt alarm system service is supplied at no cost by the hoa. This lovely home comes with a social membership that enables you to play golf from may through november. Not a golfer? Tennis, pickle ball, bocci and many other activities are available to social members. This is the lifestyle you've been waiting for, come and enjoy all that glen eagle has to offer! Attention investors: one of the few neighborhoods that has a liberal weekly rental policy. New roof jan 2019 architectural shingles. Beautiful gated community in central location. Located on a quiet cul-de-sac in the back of the subdivision away from any road noise. This 4 bedroom, 2 bath pool home has the wow factor. Large 28x14 heated and screened pool. Home has been remodeled inside and out. Impressive open floor plan. Kitchen has stainless steel appliances, granite countertops and long wrap around granite snack bar. Exterior and interior freshly painted. Tile throughout. In home laundry. 2015 new air conditioner with uv light added to air handler. 2015 new pool pump motor. New garage door 2018 with new opener 2016. Almost all light fixtures and ceiling fans replaced. New electrical light switches and outlets. Kitchen & guest bath remodeled 2017. Whole house built in vacuum system. Brairwood has many amenities and guarded gate. See attached virtual tour video of property. Being sold partially furnished. Being sold as is. Lakefront 4 bedroom home with one of the finest premium long lake views! Its the best lot in lago villaggio !st. Tropez floor plan with 2742 sq. Ft. Under air, 3864 sq ft of total living space. First floor /large living and dining room accented with custom mirror wall. Delightful kitchen with wood cabinets, granite counter top, and walk-in pantry. Sliding glass doors from family room open to screened in lanai with pool and spa. One guest ensuite and large laundry room. Second floor master suite with sitting area, gigantic closet, plus sliders to 40 ft x 12 ft sun deck over looking the lake. Master bath has dual sinks, separate shower and soaking tub. Two spacious guest bedroom with shared bathroom. New look with lights, landscaping and several home owners have been transforming their homes upward of $200,000 in remodels. It looks like a new community! Sidewalks, underground utilities, and beautiful trees nestled with lakes and golf course. Social membership which includes restaurant, community pool, library, ping pong, tennis, fitness center, pickle ball, bocce, limited golf, cards, and many more social activities. Low fees and taxes. Two private gates for easy access.